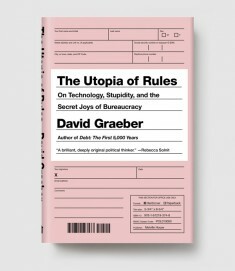 DAVID GRAEBER teaches anthropology at the London School of Economics. He is the author of Debt: The First 5,000 Years, Towards an Anthropological Theory of Value, Lost People: Magic and the Legacy of Slavery in Madagascar, Fragments of an Anarchist Anthropology, Possibilities: Essays on Hierarchy, Rebellion, and Desire, and Direct Action: An Ethnography. He has written for Harper’s, The Nation, The Baffler, The Wall Street Journal, The Washington Post, and The New Left Review.